Unternehmensgruppe Theo Müller has confirmed that it has completed the acquisition of Dairy Crest’s dairy business on December 26th, 2015. The company will now bring Müller Wiseman Dairies and Dairy Crest’s dairy operations together to create a new organisation called Müller Milk & Ingredients, which aims to be the biggest and best of its kind in the UK. 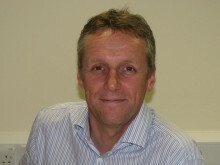 “It is clear that we have a committed workforce and a key priority is to get to know our new colleagues and ensure that they have the information they need to perform their roles and their questions are answered. Employees will be able to access detailed information on the vision and plans for the new organisation through a series of site meetings together with information sent to their homes and available on a dedicated online portal. Customers, farmers and suppliers will also receive information on the new organisation which is tailored to meet their needs. These include past press releases detailing the history of the acquisition process, and supporting images, logos and documents for download. It included Dairy Crest’s dairy facilities at Severnside, Chadwell Heath, Foston and Hanworth together with around 70 depots, employing around 3,500 people. The Competition and Markets Authority (CMA) confirmed its approval of the acquisition on 19th October 2015. The decision followed agreement by the CMA that Müller would toll process a nominated volume of fresh liquid milk for fresh milk processor Medina Dairy at the Severnside facility to ensure competition for national multiple tenders in the South West, Wales, the South and the Midlands. The transaction completed on December 26th, 2015. 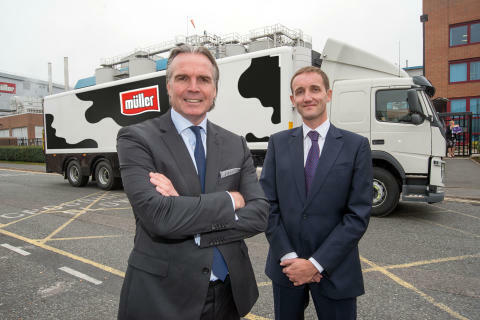 The new Müller Milk & Ingredients business will employ over 8,000 people and process 25% of Britain’s milk production, with 2,000 dairy farmers contracted to supply the business.